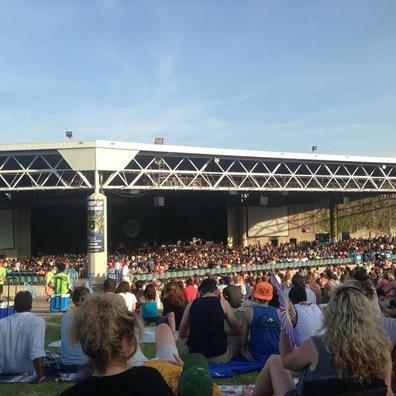 With all the great venues we have in the Dallas Fort Worth area you are sure to find a great concert in town. Limo service from All Ready Limos is the way to go and don't worry about getting a DWI. Sit back and relax with your guests and let our drivers handle getting you to your concert. There's no better way to go to a big concert! You have a chance to impress your clients give them all your attention rent a limo and go in style! The Verizon Theatre in Grand Prairie TX is one of our indoor facilities. Being located next door to Lone Star Park our horse racing track. This concert hall is in between Dallas and Fort Worth making it a breeze to get to. Using a limo service for this venue is always a good option as parking can be a mess. Make your next show one to remember. Call All Ready Limos and make your reservation!! Our outdoor venue hosts concerts year round. Located at the historic State Fair an area called Fair Park. This is an awesome place to see a concert. We have been taking clients to Fair Park for over 10 years. There's nothing better than renting a limo from All Ready Limos and going in style to your next show. Make your reservation today don't wait until the last second as limos go fast in the Dallas Fort Worth area. Having so many concerts we specialize in making your night safe fun and worry free. Not having to drive and enjoy your guests is big plus when you are trying to impress. Whether it's a night out with friends or that special date we have limo service you are looking for. Our limos have style and flare you will definitely feel like a super star when you ride in one of our limos!! The American Airlines Center hosts our biggest shows. Located in upscale Victory Park you just can't find a nicer place to go to a concert. With so many restaurants and being across the street from the W Hotel you can always find something to do before and after the show. Renting a limo for a show here is the absolute best. We are able to give you red carpet treatment and let you off right by the front door.